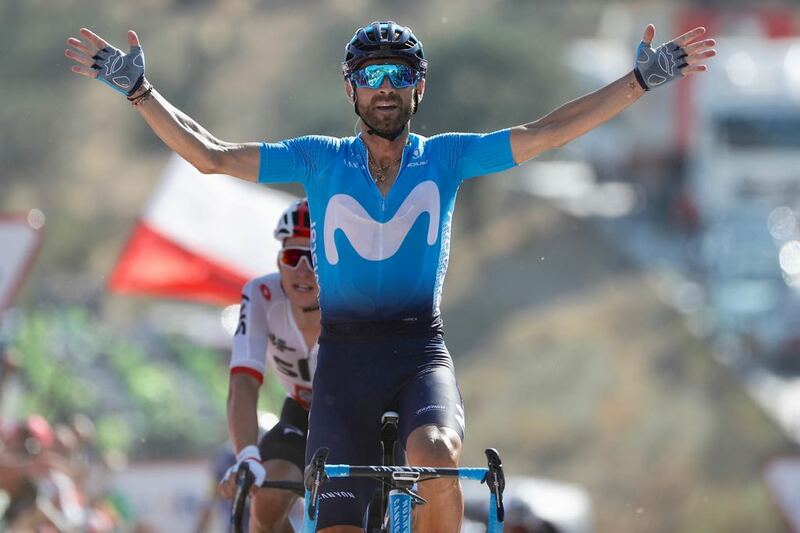 Alejandro Valverde (Movistar) claimed stage 2 of the Vuelta a Espana in Caminito del Rey today, after outsprinting Michal Kwiatkowski (Team Sky) while Laurens De Plus (Quick-Step Floors) rounded out the podium in third. Valverde accelerated from the back wheel of Kwiatkowski ahead of the final bend of the punchy uphill finish as the two riders zipped past De Plus (Quick-Step Floors) at a thrilling conclusion to the 163.5 kilometer stage from Marbella. Valverde had the requisite kick to secure the tenth Vuelta stage win of his career as Kwiatkowski took over the race lead after finishing runner-up for a second successive day. 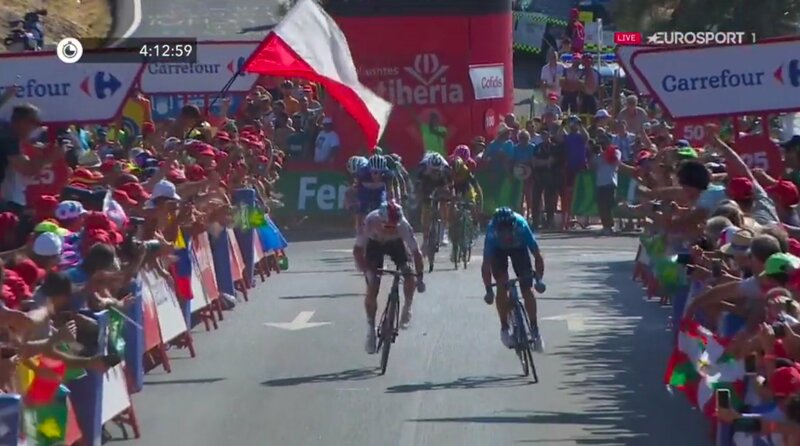 De Plus, who soloed clear with just over one kilometer remaining, held on for third place, three seconds down, ahead of Dutch rider Wilco Kelderman (Team Sunweb) and New Zealander George Bennett (LottoNL-Jumbo). 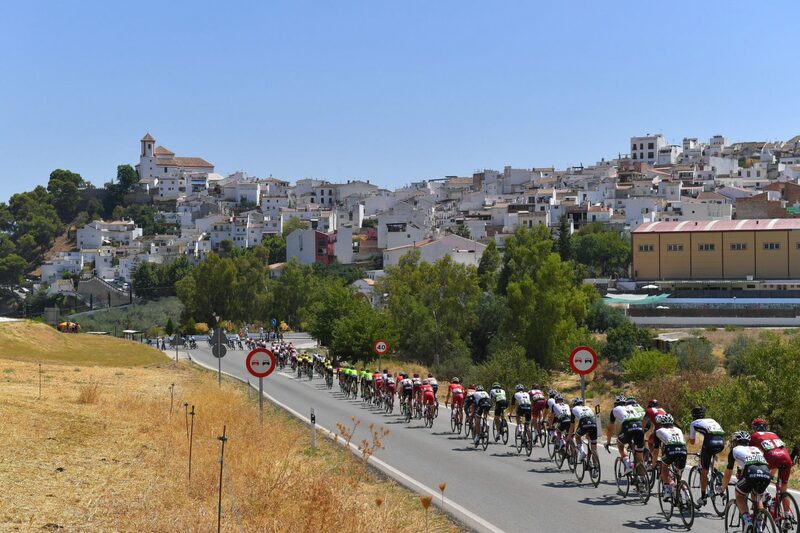 On a sweltering day in southern Spain, some hefty pace-setting by the Movistar and Sky teams of the two main protagonists Valverde and Kwiatkowski split the pack and distanced some big-name riders. BMC Racing’s Richie Porte, Vincenzo Nibali (Bahrain–Merida, world champion Peter Sagan (Bora-Hansgrohe) and yesterday’s opening time trial winner Rohan Dennis (BMC Racing) all lost varying degrees of time as a peloton came home more than six minutes down. Kwiatkowski now leads Valverde by 14 seconds in the general classification with Kelderman third place at 25 seconds.